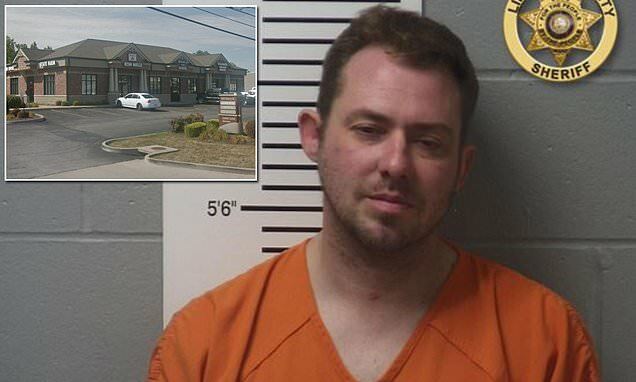 The Driver's License and Vehicle Registration Office in Troy, Missouri, became the focus for an alleged stalker, according to the employees of the government agency. Timothy Howe, 34, showed up at the office over months 'often asking for duplicate titles, abandoned vehicle forms and other vehicle registration related items,' according to the Lincoln County Sheriff's Office who arrested him last Monday. The criminal complaint detailed a long campaign if stalking and harassment where Howe would anonymously purchase pizza for the office and make attempts to contact employees on social media with fake profiles. When one of the office workers asked Howe not to buy her pizza anymore, he allegedly bought pizza for everyone else in the office, except her. The DMV employees also spotted him driving through the office parking lot multiple times a day.